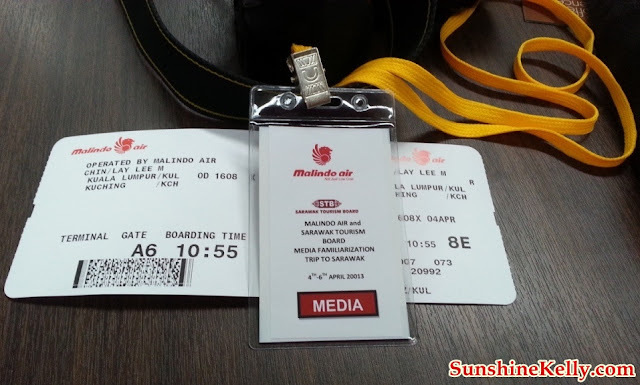 Malindo Air officially arrived in Kuching, Sarawak touching down on April 4th 2013 at 1315 hrs. Yes! 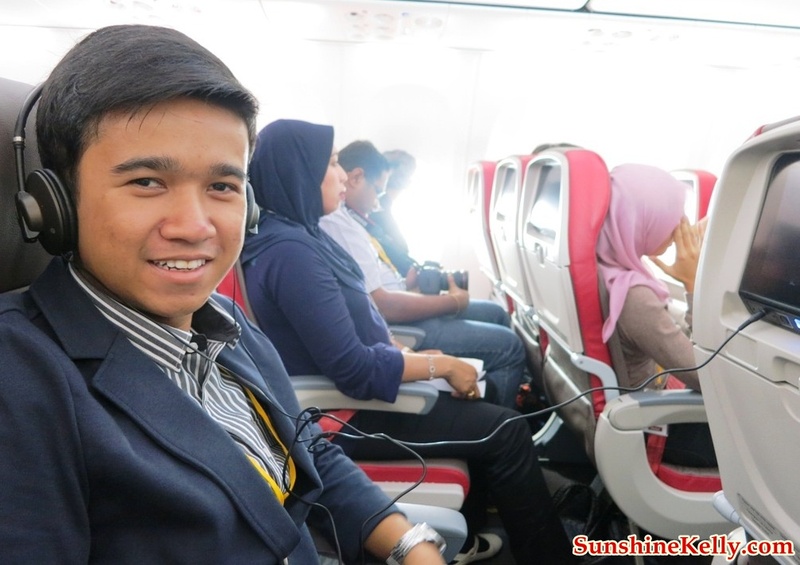 I was on that plane as one of the blogger on Malindo Air media familiarization trip to Kuching, Sarawak. 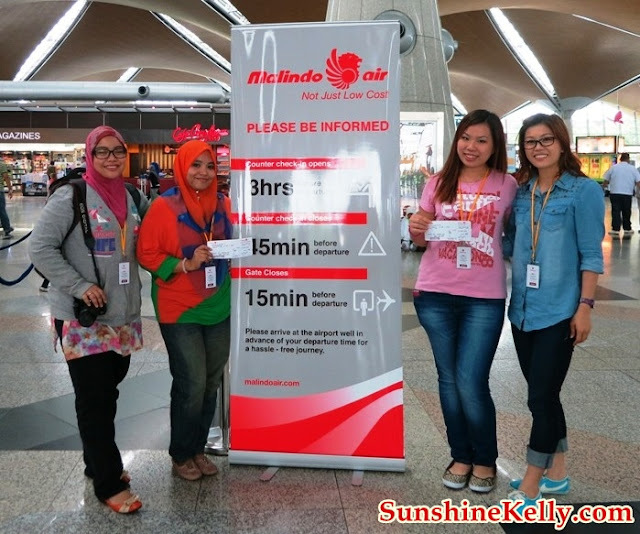 We departed at 1125 hrs from KLIA main terminal building on Malindo Air Flight OD 1608. 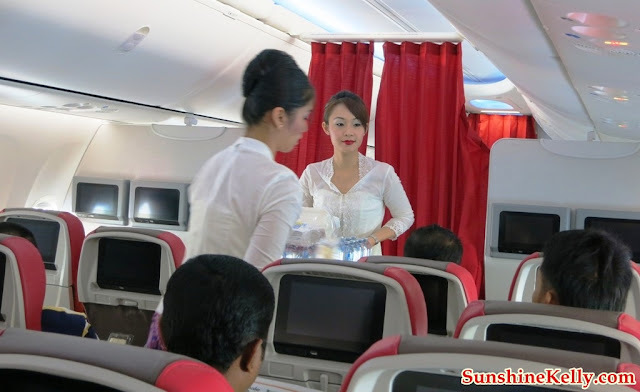 I am sure most of you are pretty new to Malindo Air. Well, this is my first time on boarding Malindo Air also. 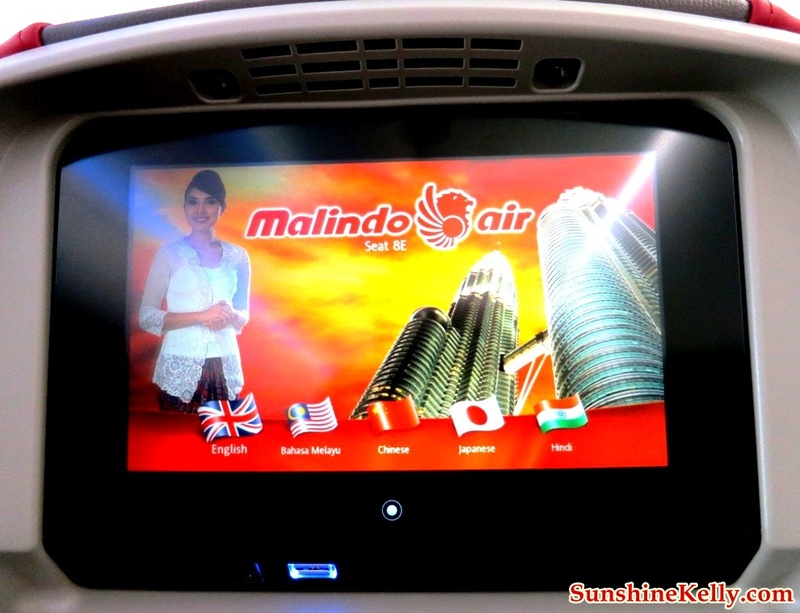 Malindo Air is flying on Boeing 737-900ER. 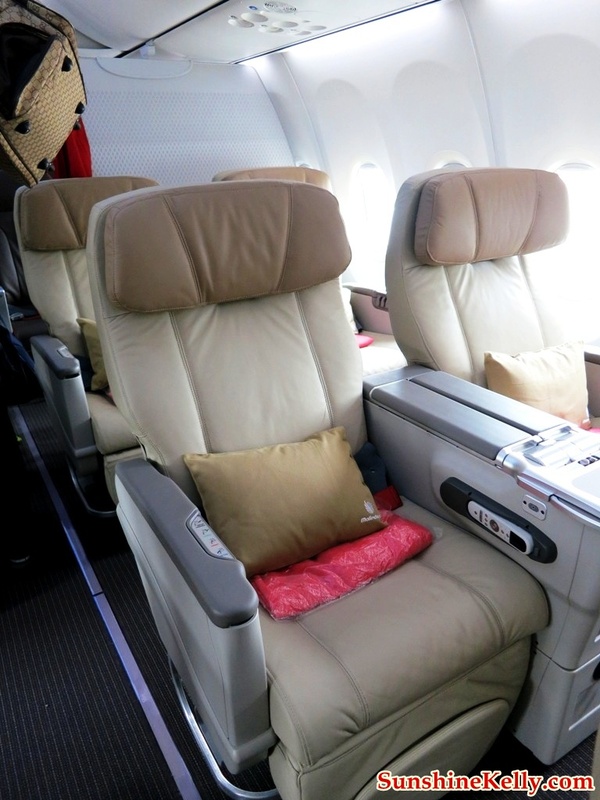 I find that the seat is leather seat is comfortable and has more the leg room. Plus the In-Flight Entertainment control panel is touch screen, so cool. Light refreshments will be served on board too. Malindo Air In-Flight Entertainment so far has 5 languages, which are English, Bahasa Malaysia, Chinese, Japanese and Hindi. 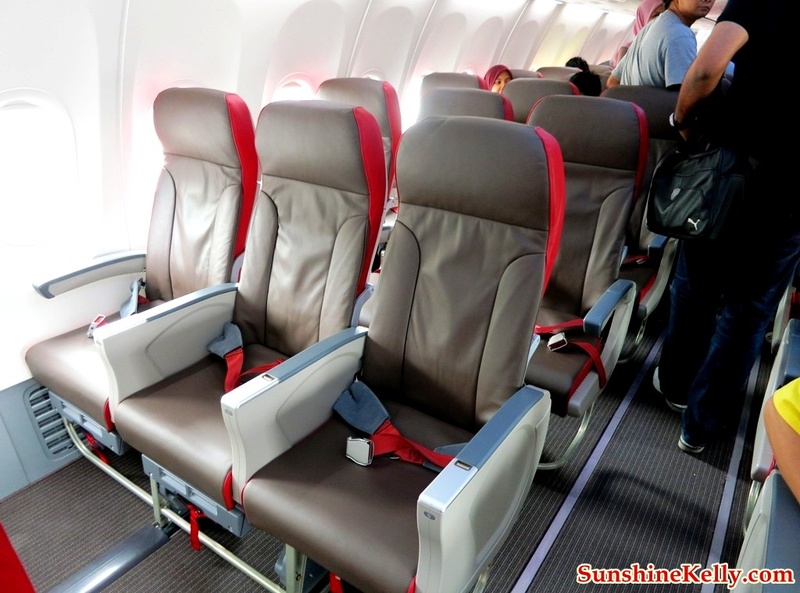 You can choose from Entertainment, Kids Zone or About Us (Malindo Air). Under entertainment there are Movie (new release, blockbuster, Indonesian, Asian and Classic); TV Show, Sports, Music (top 40, new release, jazz, easy listening) and games. By the way, do remember to bring your own headphone, if not you have to purchase it from the stewardess is RM5 per headphone. 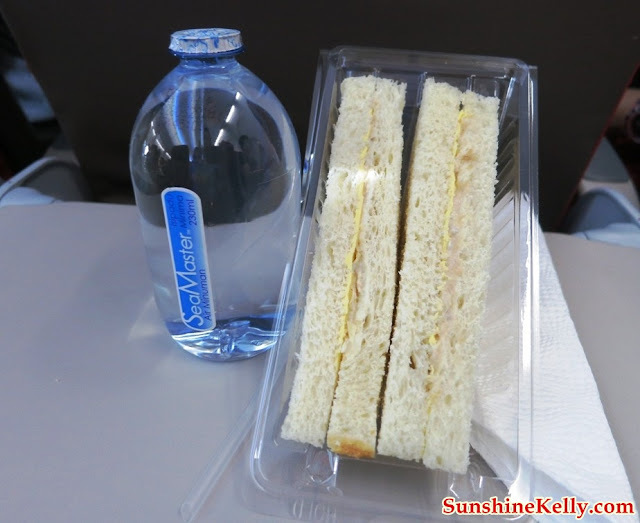 In-Flight light refreshment tuna sandwich and water free for all. Upon arrival Kuching International Airport, we were given a grand reception in traditional Sarawakian style. After that we proceed to the press conference. Officially welcoming Malindo Air to Sarawak press conference by Sarawak’s Honorable Minister of Housing and Minister of Tourism Sarawak, YB Datuk Amar Haji Abang, Dato Rashid Khan, CEO of Sarawak Tourism Board and officials of Malindo Air led by its CEO, Mr. Chandran Rama Muthy. 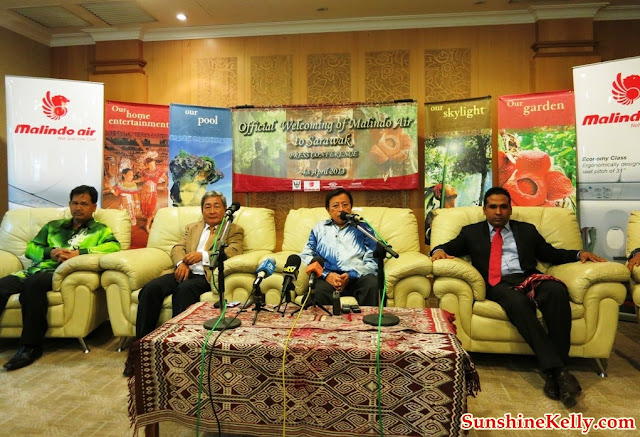 Dato Rashid also commented Malindo Air for their support and is looking forward to their expansion into their other parts of Sarawak thus boosting its tourism industry. Malindo Air’s emergence with flights to Sarawak will help improve connectivity and therefore give an option to travel, either the premium travelers or the price sensitive ones. Malindo Air is the first airline in Malaysia to fly the brand new 737-900ER and thrilled to take off and introduce for the first time a Hybrid Airline concept in Malaysia with Business and Economy Classes product offerings. 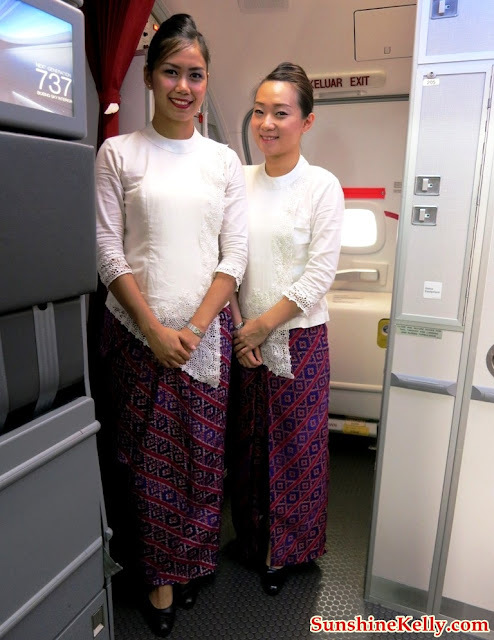 Malindo Air customers can to enjoy greater saving through the unique set of services such as baggage allowances of 30 kg for Business Classes travelers and 15 kg for those traveling in the Economy Class. Business Class seats have a seat pitch of 45 inches whereas the 32 inches seat pitch in the Economy Class is added convenience for the customers. Each sear is equipped with In-Flight Entertainment too. 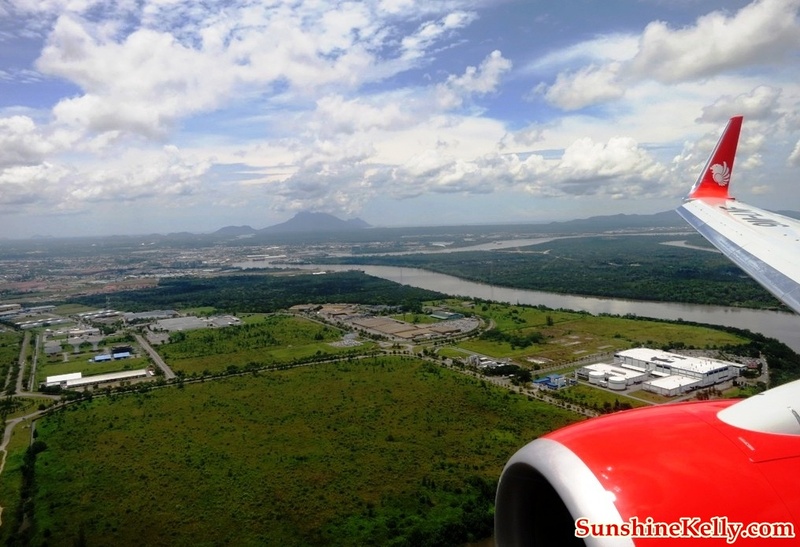 Malindo Air is currently offering 4 daily flight between Kuala Lumpur and Kuching. 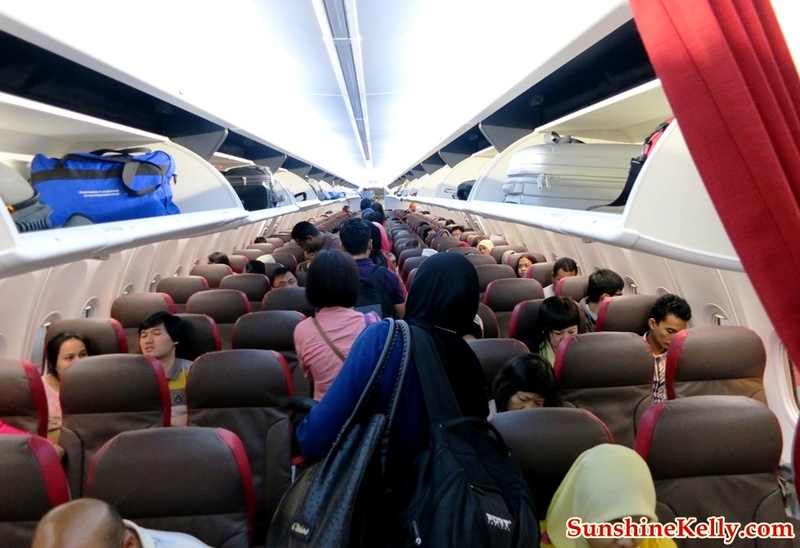 The flights from Kuala Lumpur depart at 0640 hrs, 1125 hrs, 1610 hrs and 2015 hrs. Yes! great trip i saw Orang Utan eh! Glad to bumped into u at riverside majestic ~ tak sangka. catch up soon. I love their uniform. Looks really comfy for them to move around. Nice to have met you..
thanks for visiting my blog. i am very happy to meet & get to know you too. bukannya ini logonya lion air indonesia ?? ?